A close-up magic performance typically involves Joseff interacting with your guests and presenting his unique style of elegant magic with playing cards, coins and borrowed everyday objects. Close-up magic is particularly suitable for weddings, cocktail parties, and formal dinners where Joseff will perform before dinner is served and between courses. 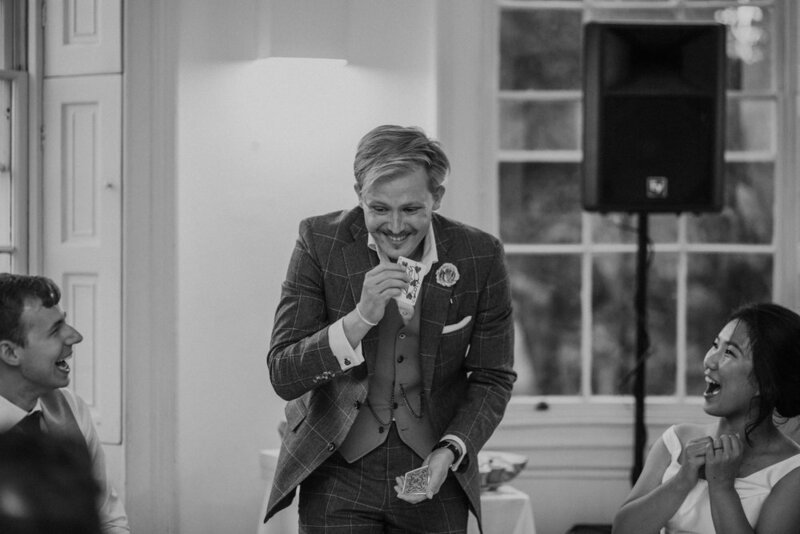 More than simply performing, Joseff will build rapport with your guests, helping them to relax and make connections with other attendees ensuring that you are able to create an inclusive, welcoming and relaxed atmosphere at your event. For more intimate engagements, Joseff is able to create a bespoke formal performance, tailored to your event.